This initiative began as the artisan mothers of the community were taking Economic Development trainings and needed a safe and nurturing place for their children to learn while they were in trainings. The first group of 15 children started in 2015 and during the trainings a total of 50 gathered to be part of the project. 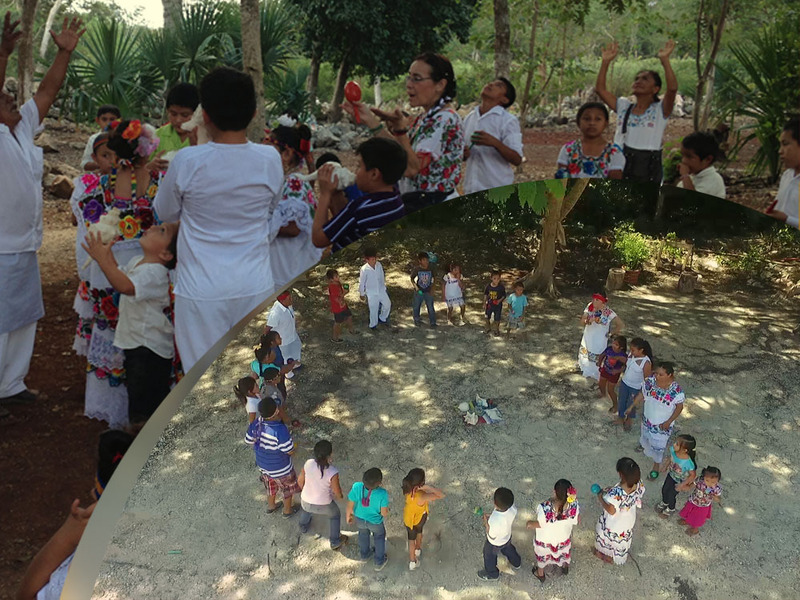 The project is focused on preserving and recovering ancient Mayan traditions and the Mayan language amongst 40 children from the communities nearby Chichen Itzá. Through the 12 sessions of the workshop, the project promotes cultural identity through traditional songs, poems, dance, rituals (such as Sacred Circles), and Mayan language through story telling. The workshops are bilingual Mayan/Spanish.